Diseases that dominate the 21st century need a 21st century approach in the way we design and conduct clinical trials. To meet this need, George Clinical is primarily focused on large-scale studies with high-impact outcomes, particularly where smaller pre-registration trials need to be expanded to larger populations. George Clinical has been managing clinical trials in chronic disease since 2005 and is currently undertaking several large global studies to assess the impact of different treatments on cardiovascular and kidney disease outcomes in diabetic patients. The numerous large-scale, high impact clinical trials that conducted by George Clinical have informed healthcare policy across the world. Having confidence that proven treatments will work in ‘the real world’ is a high priority for healthcare organisations, especially in low and middle-income countries where there is a large burden of chronic disease. One current example of our work in chronic disease, is a new study in chronic obstructive pulmonary disease (COPD), one of the world’s leading causes of death. Caused primarily by cigarette smoking, the disease is also growing in prevalence due to indoor and outdoor air pollution in developing countries. For patients with COPD, breathlessness and sometimes acute exacerbations that require hospital admission are not unusual. Treatments are available, but are expensive. They include short and long-acting bronchodilators and, in more severe cases, inhaled corticosteroids (ICS). George Clinical is managing the TASC (Theophylline and Steroids in COPD) Study, a study of low-dose corticosteroids and theophylline in the treatment of Chronic Obstructive Pulmonary Disease, to compare affordable treatments, and with the aim of reducing exacerbations in patients with COPD. Academically-led and NHMRC funded, the TASC Study was developed to demonstrate that low-dose theophylline given together with low dose corticosteroids, both given orally, can reduce the rate of exacerbations in COPD. Involving 2,400 patients in India and China, the TASC Study will run for five years and if successful, will lead to an affordable, accessible and easily administered treatment for COPD. 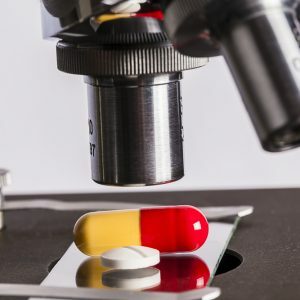 George Clinical provides clinical trial management for global and regional studies sponsored by pharmaceutical companies as well as for The George Institute for Global Health. George Clinical operates in Australia, China, India and Asia. It provides both a quality framework for clinical trial management across the Asia-Pacific region, as well as offering scientific expertise to its clients by leveraging input from some of the best research leaders in the world through The George Institute.